The Erdvark Reversible Disc Ridger & Bedder is a versatile multi purpose implement for making trenches and ridges. By reversing the gangs it can cut down its own ridges and close trenches. It is ideal for row cultivation in existing crops, vineyards and orchards. Disc spacing 8″ (203 mm) or 9″ (228 mm). 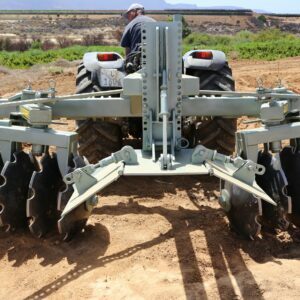 The Erdvark Ridger and contour maker disc implement is designed to make contours and ridges in fallow lands. 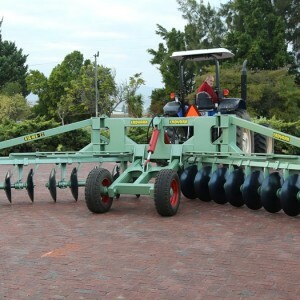 The Ridger is ideal for the building of ridges for planting Macadamia, citrus and other trees that need to be planted on ridges. Ideal for ridging roads to rise above water line and the making of center pivots tracks. 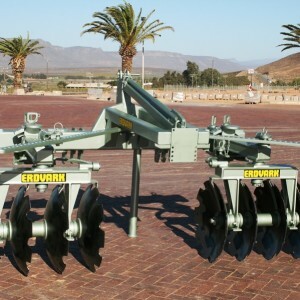 The Erdvark RCP Ridger & Contour Plough Disc implement are designed to make contours and ridges against natural land contours to prevent erosion and can also be used for lots of other farm applications like building farm roads, building ridges to plant nut and fruit trees. Ridger / Reversible Disc with Bed Former – DOSC. 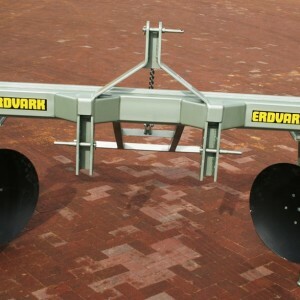 The Erdvark Ridger / Reversible Disc with Bed Former is a multi-purpose implement that can build ridges inwards and outwards. The Bed Former can only form a bed to the inward position. 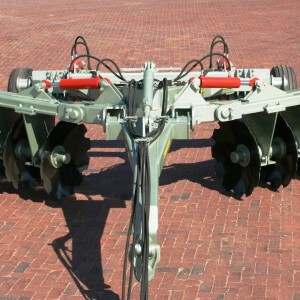 This implement is ideal for building ridges at a lower cost than construction equipment. The ridges are ideal for Citrus, Avocados, Nut trees, Fruit trees and any product that needs to be planted in a higher raised bed. The Implement has littery hundreds of different setting to make that perfect bed. Just pull a pin and use the toolbar to change the settings. See some settings in the Images Gallery. The Main beam is stronger with 4 different settings for the secondary beam. Use the toolbar to do your settings on the gangs as well for more aggressive or less aggressive setting. The Implement is capable of fetching soil at 4.5 m.
The Bed Former also has a lot of settings for ridge height and the side walls of the ridge. It leaves a neat upper part to plant the trees and lay the drip irrigation pipes. The new Heavy Duty Ridger & Reversible Disc with 710mm disc is an aggressive bed former inwards or outwards. 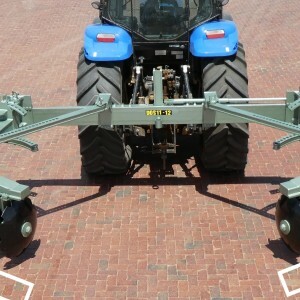 This implement is a 3 point linkage implement and can work in confined spaces like vineyards and orchards. You can build heaped beds or you can build lower flat ridges for apple and pear trees. When you replant fruit trees you will be able to do de-ridging after the trees are removed and the row is ripped you turn the gangs 180° around, set the discs aggressive and break the clods and aerate the soil. You can then add some lime and compost and immediately rebuild the ridge to your standards. A bed former can be added or just a scraper to keep the ridges flat on top. A bed former can be added or just a scraper to keep the ridges flat on top. The implement fitted with the bed former is ideal for building ridges for avocados, citrus, macadamias and other fruit trees. If you use a tractor with auto steering, it is a quick and effective way to build ridges and there is no need to mark out every row. Remember that the auto steering is not advisable in steep hills. You will also experience loss of signal in between mountains. The Erdvark Disc Ridger for Potatoes is a multipurpose implement. It can be used to make a single ridge or can be set wide to form a ridge for the new twin-row potato planters and lifters. The Disc Ridger can also be used to form ridges for other vegetables that are normally produced on ridges. The Disc Ridger can easily be set narrower or wider by undoing 8 bolts a little, shift the shank in position and lock it again. The disc angle has multiple holes on the beam bracket and the disc angle can quickly be altered.